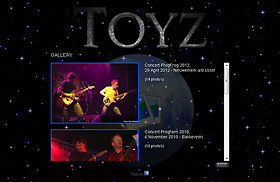 Redesign the website of rock band Toyz. 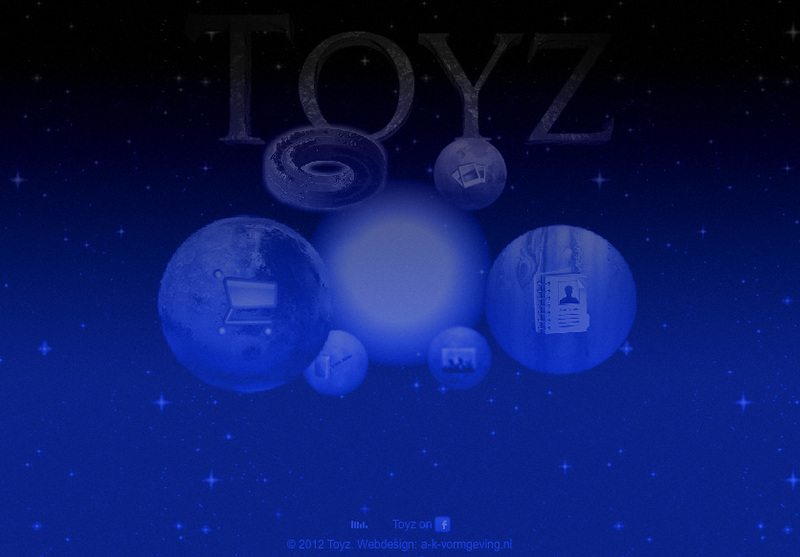 Preconditions: retain existing content, but restyle to a more flashy look. 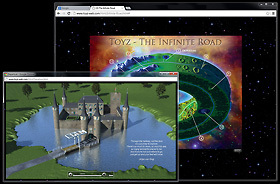 At the first meeting with the band, when discussing the design for the artwork for "The Infinite Road", immediately the question of redesigning the website was raised: the band wanted their website to have a more modern, flashy look. 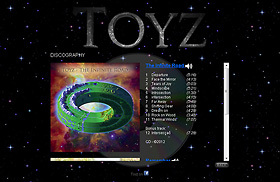 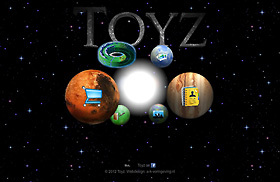 Based on the artwork for the CD, a Toyz Universe was designed for the homepage, where the navigation buttons took on the shape of planets revolving in 3D around a central sun (page needs the flashplayer to be installed).